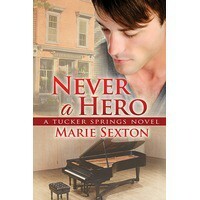 Originally posted at Romance Around the CornerSource: A review copy was provided by the publisher through NetGalley.Never a Hero is the fifth book in the Tucker Spring series, which is the M/M Romance version of a small-town Contemporary. I have only read one of the previous books in the series (coincidentally co-written by Sexton); an experience that wasn’t entirely successful. And much like that one other book, this one ended up being a bit of a mixed bag.The main character is Owen, a reclusive, insecure man who has serious mommy issues. He is deeply self-conscious about his congenitally amputated arm, his stutter and his sexuality. 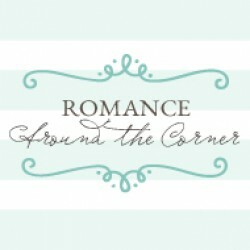 But when charming, outgoing Nick moves downstairs, Owen’s life radically changes, not only because of the instant attraction that flares between them, but because Nick helps him become more comfortable in his own skin. The rest is way too spoilery to tell. But there is a painful secret and lots of issues. Lots!It’s undeniable that Ms. Sexton knows how to write great characters and stories full of heart. Both Owen and Nick are endearing, sympathetic protagonists in a story that was perhaps too short to actually explore the issues that presented.Owen’s issues with his disability and social anxiety were handled well. Nick’s sister has a similar amputation, and she becomes a positive presence in his life. His anxiety is deeply linked to his disability, so once he gets comfortable with the latter, the anxiety lessens.Nick’s issues, on the other hand, were mostly a convenient excuse to create tension and conflict. I can’t go into detail, because what he’s dealing with is one of the big revelations, but it was hard for me to believe that someone as happy, mature and with such a strong support system, would take so many years to come to terms with it, just to magically get over it thanks to the healing powers of love. The subject matter is serious, and as much as I’m happy to see an M/M book tackling it, it’s was glossed over due to length constriction and everything else that was going on in the book.And then we have the evil mom. This character was so over the top and cartoonish, that I was expecting her to kill someone with a poisoned apple. Such a character is nothing but lazy writing, and there’s no excuse for it. The father, on the other hand, was equally neglectful in his inability to put a stop to his wife’s behavior, but he’s painted as another victim and Owen easily forgives him. This, my friends, is how you thoroughly ruin a book that up until that point was flawed, but enjoyable, and turn it into a joke. And we wonder why M/M Romance gets criticized for its negative portrayal of women.